Thumb pain Happens and it can really be an inconvenience for day-to-day activities. The DonJoy Advantage stabilizing thumb splint is perfect to help relieve thumb pain without constricting finger and hand movement so you can still participate in everyday activities. 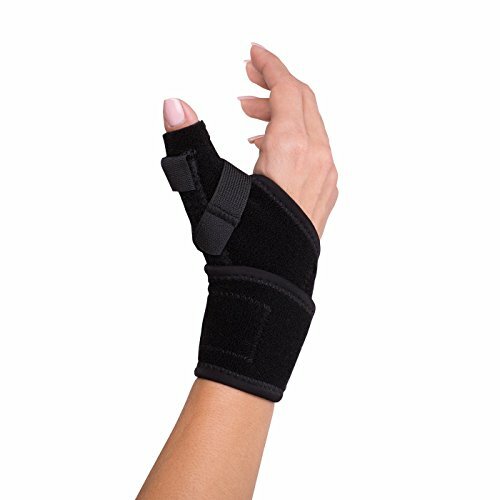 Constructed with Neoprene, the stabilizing thumb splint provides warmth and compression to the thumb and wrist, helping to relieve pain and reduce swelling. The aluminum and spiral stays are removable, allowing you to customize the level of support you need. The stabilizing thumb splint is a wrap-around design, making it easy to put on and take off. Designed to treat thumb tendonitis, arthritis, and thumb instabilities. Its best to use for skiing, volleyball, basketball, weightlifting, and everyday activities. If you have any questions about this product by DonJoy Advantage, contact us by completing and submitting the form below. If you are looking for a specif part number, please include it with your message.